Premier A League: Lakewood Ath 2 Kanturk 0; Knocknaheeny Celtic 3 Rylane Celtic 1; Crescent Ath 2 Springfield 1; Dillons Cross Ath 1 Bohemians 5. 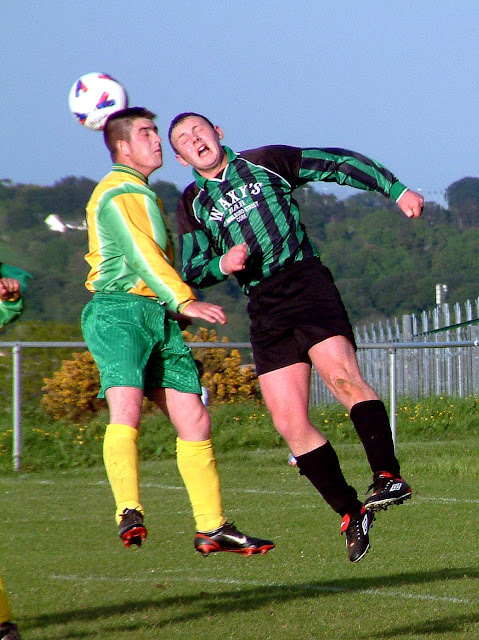 AUL 2: Donoughmore Ath v Pearse Celtic (off); Grangevale 2 Richmond 1. AUL 2A: Park Utd v City Wanderers (off); Blackpool Celtic 0 Glenthorn Celtic 3; Castleview 1 Corkbeg 2. AUL 3: Central Rovers 2 Grattan Utd 0; Macroom 4 Knocknaheeny Celtic 1; Temple Utd 3 Ard Na Laoi 0. AUL 3A: Carrigaline Utd 1 UCC 3; St John Boscos 1 Leeview Ath 2; Southcoast Ath 0 Greenwood 0; Watergrasshill Utd 2 Parkview Celtic 1.